Beautiful two story home located in La Floresta - Solana Collection. This 2 bedroom, 3 bath home has a kitchen, cafe and gathering room flow effortlessly out to your covered patio. Home also includes granite on counters in kitchen. 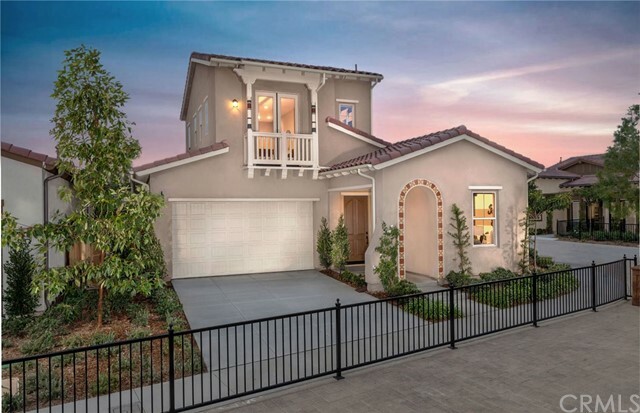 Homes are located within the gently rolling hills of Brea and offer a great community for active adults 55 a feeling of being removed; yet it is close to shopping, dining, and entertainment. Del Webb at will offer an amenity-rich clubhouse that will feature a fitness room, ballroom, multi-purpose space, catering kitchen, lounge, outdoor pool and spa and more. See sales agent for details.